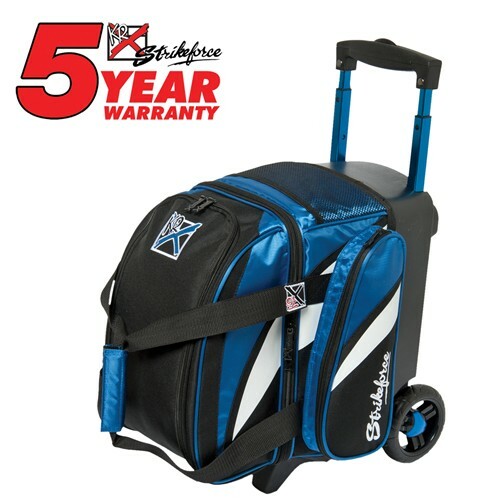 The KR Strikeforce Cruiser Single Roller has all you need in a bag for a good time! This bag has a shoe compartment that holds up to a size 13 shoe, and accessory pocket for all your bowling needs. Does this bowling bag have a button you push to pull or retract the handle? Due to the time it takes to produce the KR Strikeforce Cruiser Single Roller Royal/White/Black ball it will ship in immediately. We cannot ship this ball outside the United States.